The Biomedical/Behavioral Mentorship Program, launched in fall 2015, promotes the development of junior faculty through research and career development mentoring and student engagement and training from a senior faculty. 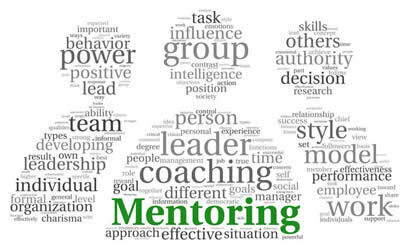 The mentee is matched with a distinguished senior faculty who has an active biomedical/behavioral research agenda with overlapping research interests, an extensive track record of scholarly products and significant experience of mentorship of undergraduate students. The mentor-mentee pair work one-on-one on a joint project (i.e. grant proposal, manuscript, spin-off research project, etc.) over a two-year period. Mentees also shadow the mentor’s laboratory or suitable research site, observing faculty-student research activities and interactions. A call for applications is sent in October. Below is are the cohorts of current and previous faculty members who are in the Mentorship Program. Research Area: To collect preliminary data to support the development of an R03 grant proposal examining the impact of media use on young people’s substance use and sexual risk-taking using an experimental sampling methods (ESM). Research Area: Mentor will provide feedback on the preparation of R03 proposal submitted to NIH, NCI February 27th, 2015. Preparation of proposal to be submitted to American Cancer Society (Research Scholar Grant), October 1st, 2015. Research Area: Mentor will review a grant proposal to be submitted to NIH on June 25 2015. Tentative title: Natural competence in Acinetobacter baumannii: DNA uptake machinery and its role as the major contributor in the developing of antibiotic resistance. Research Area: Mentor guide in developing the long term research agenda, which is related to the effects of physical activity and sedentary behavior on body composition, cardiometabolic risk, physical function, and health service utilization in community-dwelling older adults.